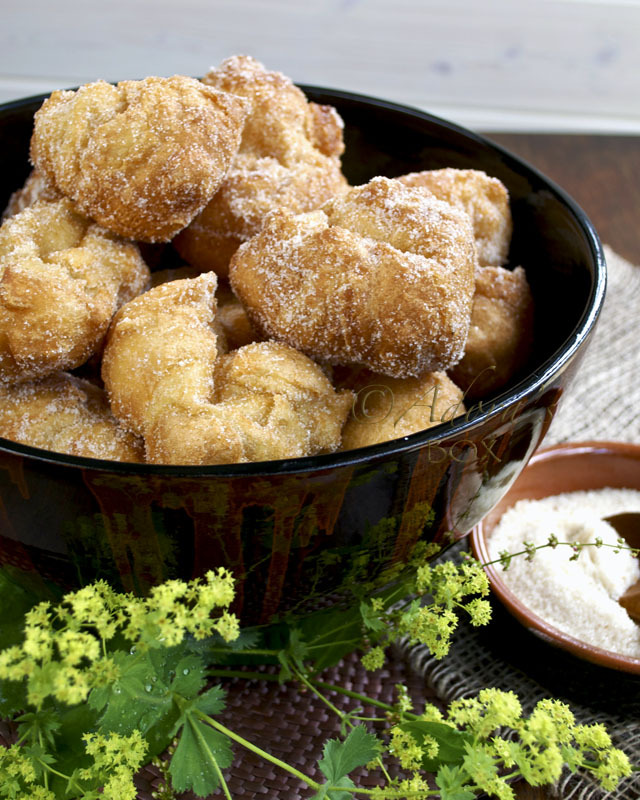 Puffs of air rained with sweet sugar, a delight to make and a joy to eat_ this is what buñuelos is to me. We buy them in bakeshops and tea shops in Chinatown here in London where they make it extra large for maximum satisfaction. 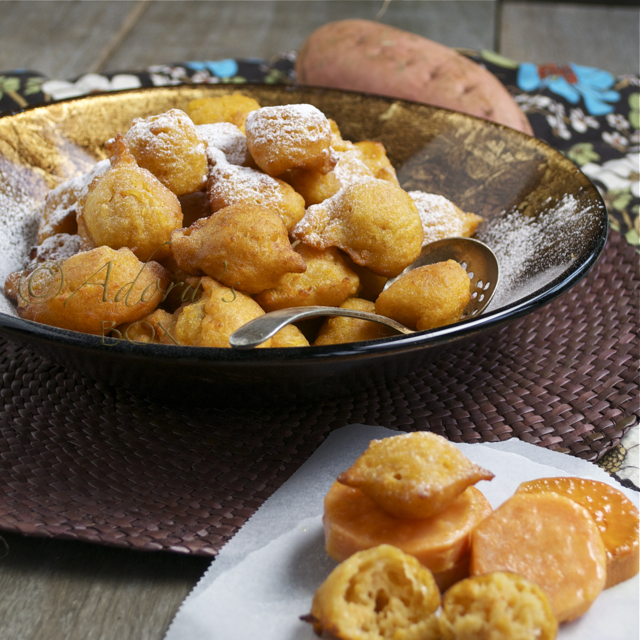 Buñuelos are light as air fritters made of flour and eggs. 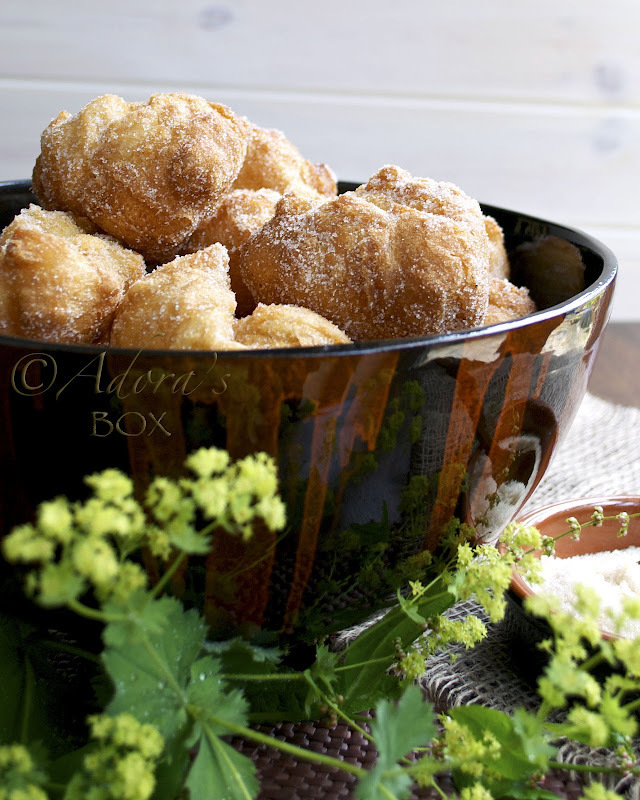 They are actually choux pastries that are fried instead of baked, then dusted with sugar. 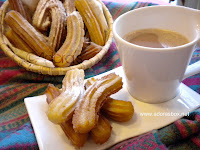 They are of Spanish origin and are popular in Hispanic countries such as Mexico and Colombia and also in the Philippines. Sometimes the sugar is coloured pink. Although one recipe makes a big quantity, they don't last very long as they are so light and moreish that you can never make enough of them. 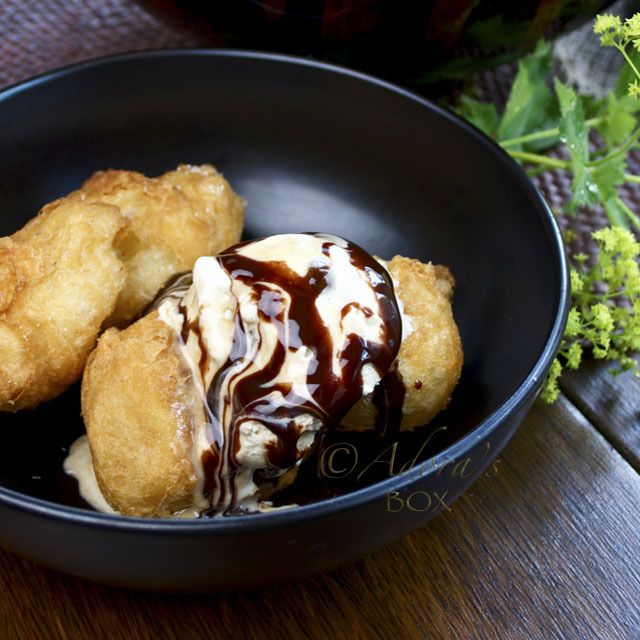 It is also nice eaten with ice cream and any dessert sauce that you prefer. Place the water and butter in a saucepan and bring to a boil. When the butter is melted, add the flour all at once and stir until the mixture forms ball and leaves the side of the pan. Remove from heat, transfer to a mixing bowl and leave to cool for 5 minutes. Using an electric mixer, beat for 10 seconds before adding the eggs, one at a time, beating well after each addition. The mixture will seem curdly at the start but will be smooth after all the eggs are added in. Heat the oil in a pan. When hot, add spoonfuls of the mixture (I used a small ice cream scoop) and fry until well puffed and golden. The balls will turn by itself and split as it fries but you can nudge it with a slotted spoon to fry it evenly. It is done when it is light (in weight) and golden in colour and have stopped expanding. Remove from the oil and transfer to a kitchen paper lined tray. Toss in caster sugar. Needless to say, best eaten warm. I'm sure you won't wait long enough anyway. Wow, those DO look so light and airy...like eating sweet clouds! Yum. 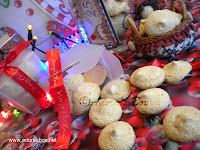 I love buñuelos! 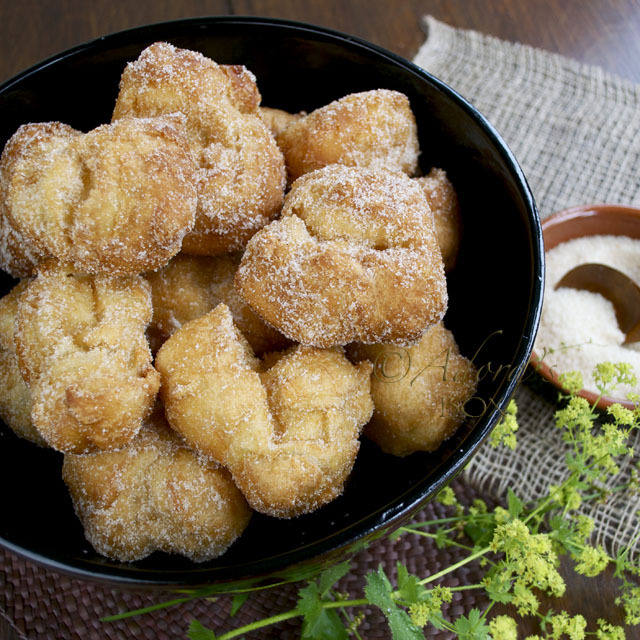 A great buñuelo doesn't need anything more than a sprinkle of sugar. Yours look fantastic. My husbands family makes these every year for Christmas and I just adore them. Your looks so beautiful! They do look wonderful! Our family makes a similar recipe, usually around Easter, I can't wait! These look Oh so good! Oooh how lovely and delightful! You have a wonderful blog! Delicate and delicious. Beautiful job. That look great! It is so light! I found your website in my search for a light bunuelos. I used to have a recipe like yours but I couldn't find it anymore and I've forgotten the proportion but I hope you don't mind if I ask if this ratio of flour and liquid (incl. the eggs) wouldn't result in a too wet mixture? 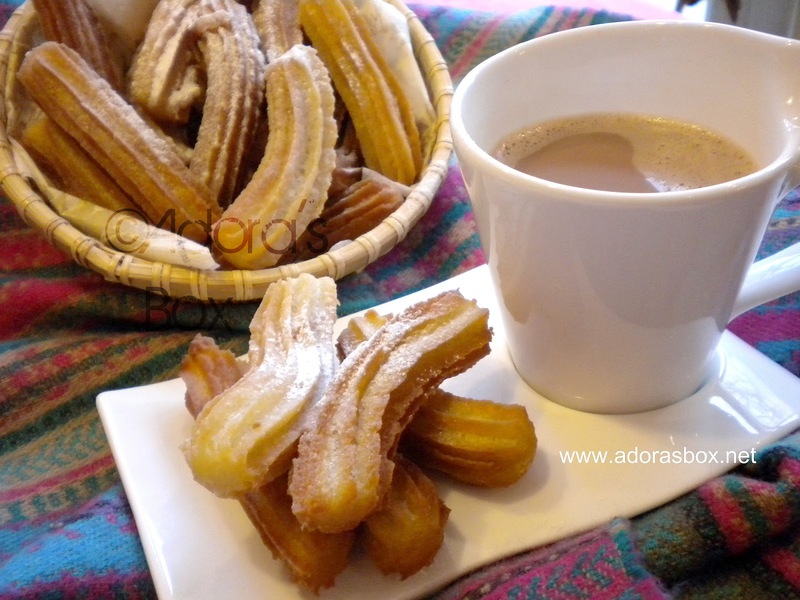 Your pictures are wonderful and could imagine the bunuelos tastes great. Thanks! 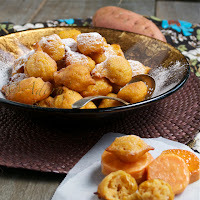 Touch Me Not, the proportions of the ingredients made a thick batter and when fried resulted in these puffy bunuelos.